No matter the size or stage of your company, the ability to quickly adapt to the changing world is critical. Knotel is an office space platform built just for that purpose. Our flexible terms offer the freedom to progress and evolve in an environment where your team is set up to succeed. 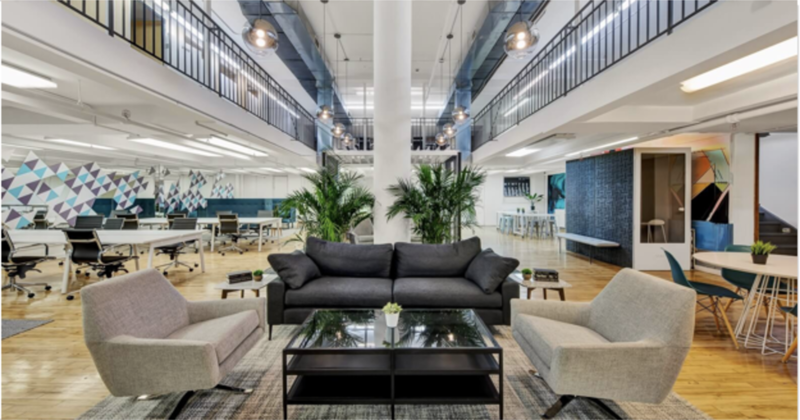 Knotel Standard is office space designed for individual companies from the ground up. Your team will thrive in a tailored space that embodies your brand identity, aligned with your goals. Knotel On Demand gets your team in the right space, quickly. Give your team a space that looks and feels the part, even when the luxury of time is not on your side. Finding an office can be overwhelming. Not with us. We provide a single point of contact so your don’t have to spend your whole day coordinating. Workplace Strategy is the foundation of the Knotel experience — in other words, how to make the office more than just a container for workers. We expertly design our work settings to adapt to teams and their distinctive traits. We provide a dedicated design team to translate each member’s workstyle and brand into a unique interior.